If you have a Flexible Spending Account (FSA), chances are, time is running out for you to use that cash. Depending on your employer’s rules, if you don’t spend your FSA money by the end of the grace period, you potentially lose some of it. Lost cash is never a good thing. For those unfamiliar, an FSA is an employer-sponsored spending account. You deposit pre-tax dollars into the account, and you can spend that money on a number of health care expenses. It’s kind of like a Health Savings Account (HSA), but with a few big differences—namely, your HSA funds roll over from year to year, so there’s no deadline to spend it all. With an FSA, though, most of your funds expire at the end of the year. Bummer. The good news is: The law allows employers to roll $500 over into the new year and also offer a grace period of up to two and a half months to use that cash (March 15th). Depending on your employer, you might not even have that long, though. The deadline is fast approaching for many account holders, so if you have to use your FSA money soon, here are a handful of creative ways to spend it. 1. Buy some new shades. 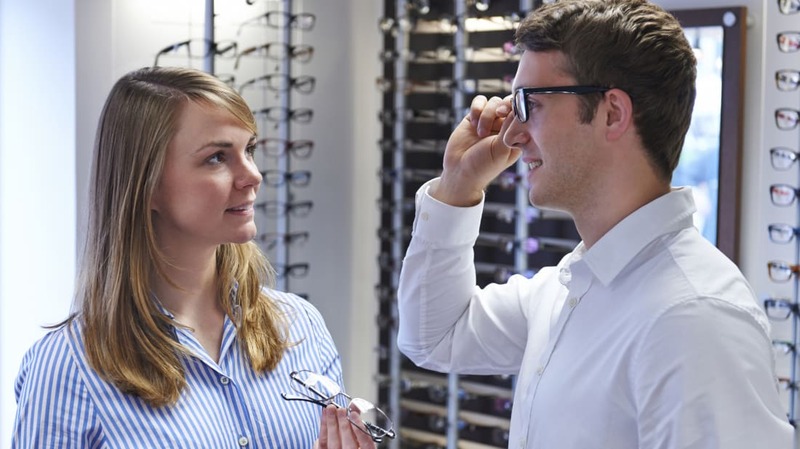 Head to the optometrist, get an eye prescription, then use your FSA funds to buy some new specs or shades. Contact lenses and solution are also covered. You can also buy reading glasses with your FSA money, and you don’t even need a prescription. Scientists are divided on the efficacy of acupuncture, but some studies show it’s useful for treating chronic pain, arthritis, and even depression. If you’ve been curious about the treatment, now's a good time to try it: Your FSA money will cover acupuncture sessions in some cases. You can even buy an acupressure mat without a prescription. If you’d rather go to a chiropractor, your FSA funds cover those visits, too. 3. Stock up on staples. If you’re running low on standard over-the-counter meds, good news: Most of them are FSA-eligible. This includes headache medicine, pain relievers, antacids, heartburn meds, and anything else your heart (or other parts of your body) desires. There’s one big caveat, though: Most of these require a prescription in order to be eligible, so you may have to make an appointment with your doctor first. The FSA store tells you which over-the-counter items require a prescription. Give your feet a break with a pair of massaging gel shoe inserts. They’re FSA-eligible, along with a few other foot care products, including arch braces, toe cushions, and callus trimmers. In some cases, foot massagers or circulators may be covered, too. For example, here’s one that’s available via the FSA store, no prescription necessary. Yep—acne treatments, toner, and other skin care products are all eligible for FSA spending. Again, most of these require a prescription for reimbursement, but don’t let that deter you. Your doctor is familiar with the rules and you shouldn’t have trouble getting a prescription. And, as WageWorks points out, your prescription also lasts for a year. Check the rules of your FSA plan to see if you need a separate prescription for each item, or if you can include multiple products or drug categories on a single prescription. While we’re on the topic of faces, lip balm is another great way to spend your FSA funds—and you don’t need a prescription for that. There’s also no prescription necessary for this vibrating face massager. 6. Fill your medicine cabinet. You can also stock up on first aid kits. You don’t need a prescription to buy those, and many of them come with pain relievers and other medicine. 7. Make sure you’re covered in the bedroom. Condoms are FSA-eligible, and so are pregnancy tests, monitors, and fertility kits. Female contraceptives are also covered when you have a prescription. 8. Prepare for your upcoming vacation. 9. Get a better night’s sleep. If you have trouble sleeping, sleep aids are eligible, though you’ll need a prescription. If you want to try a sleep mask, many of them are eligible without a prescription. For example, there’s this relaxing sleep mask and this thermal eye mask. For those nights you’re sleeping off a cold or flu, a vaporizer can make a big difference, and those are eligible, too (no prescription required). Bed warmers like this one are often covered, too. Your FSA funds likely cover more than you realize, so if you have to use them up by the deadline, get creative. This list should help you get started, and many drugstores will tell you which items are FSA-eligible when you shop online. 10. Go to the dentist. While basics like toothpaste and cosmetic procedures like whitening treatments aren’t FSA eligible, most of the expenses you incur at your dentist’s office are. That includes co-pays and deductibles as well as fees for cleanings, x-rays, fillings, and even the cost of braces. There are also some products you can buy over-the-counter without ever visiting the dentist. Some mouthguards that prevent you from grinding your teeth at night are eligible, as are cleaning solutions for retainers and dentures. 11. Try some new gadgets. If you still have some extra cash to burn, it’s a great time to try some expensive high-tech devices that you’ve been curious about but might not otherwise want to splurge on. The list includes light therapy treatments for acne, vibrating nausea relief bands, electrical stimulation devices for chronic pain, cloud-connected stethoscopes, and smart thermometers.